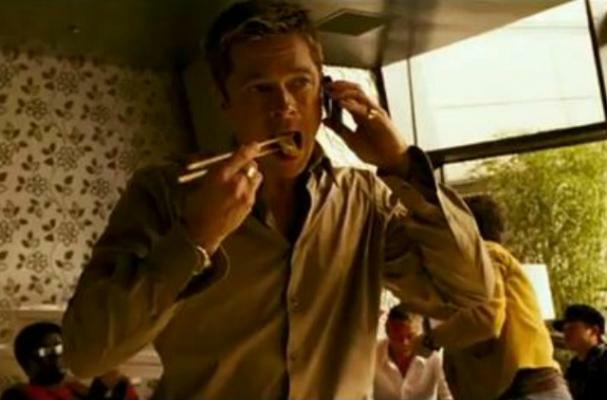 After Vulture put together The Brad Pitt Movie Food Diary, we realized just how often the actor is seen eating on screen. The folks at Movie Clips Mashup threw together a series of movie scenes that feature Pitt eating or drinking. From his older movies to his more recent characters, the montage features Pitt chowing down on peanut butter, drinking a Slurpee, and there's even a scene in which he bites into a rat. Check it out below!